Nothing brings a room together quite like a pattern under your feet! We love an area rug for an instant transformation of your favorite space — both indoors and out. And we're not alone in our sentiments. We've heard from top decorators that a great-looking rug can be a perfect source of inspiration for an entire room's worth of decor. We turned to Donna Garlough, the style director of Joss & Main and author of "Your Home, Your Style," for a little guidance. "People tend to think first about color and pattern, but considering size early on is key. One of the easiest mistakes to make is to buy an area rug that’s too small, as it can chop up the space visually," said Garlough. 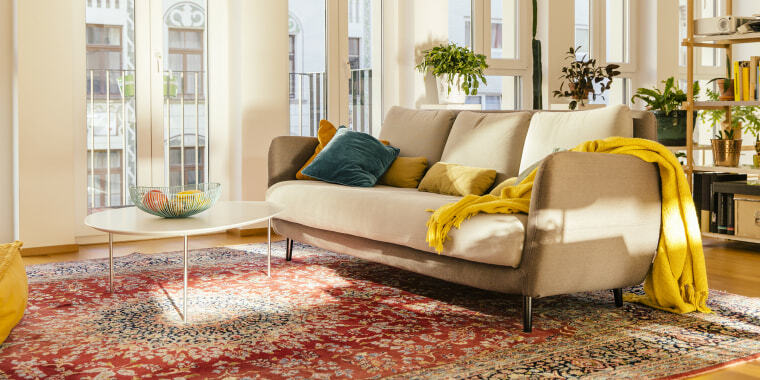 "A larger rug, meanwhile, can really anchor a room’s furniture and draw the eye across the floor, tying everything together and making the space feel more spacious and complete. Once you’ve zeroed in on a good size for your space, it’s easier to pick from among the many styles that come in that size." And keep in mind that some rugs are easier to clean than others. "Wool is classic and naturally stain-resistant, and you can blot away most spills with water; big, dark stains can require professional cleaning. Cotton rugs can show dirt a little more easily, but they can also be tossed in the wash, which is great. 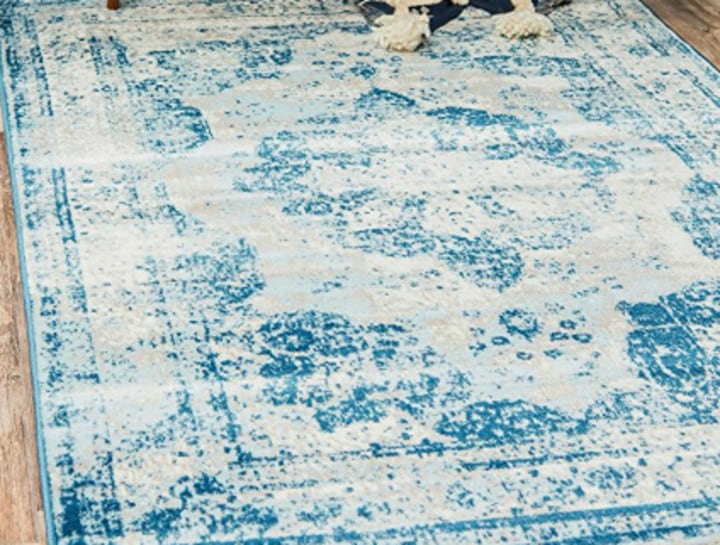 Synthetic materials like polypropylene or acrylic, which are popular because they offer the look of a tufted or knotted wool rug at a much lower price, can be spot-cleaned like wool rugs, but depending on the material, they may require special solvents. Always look up the care instructions for your rug before trying a new cleaning product, as it can affect the colors or texture," advised Garlough. And style expert Chassie Post took a deep dive into the world of area rugs to roll out some great options. It’s fun to take a peek at what other home decor lovers are buying. From Moroccan trellis designs to monochromatic and shaggy, Amazon’s best-sellers list provides some great ideas. Here's a peek at some of their favorites. 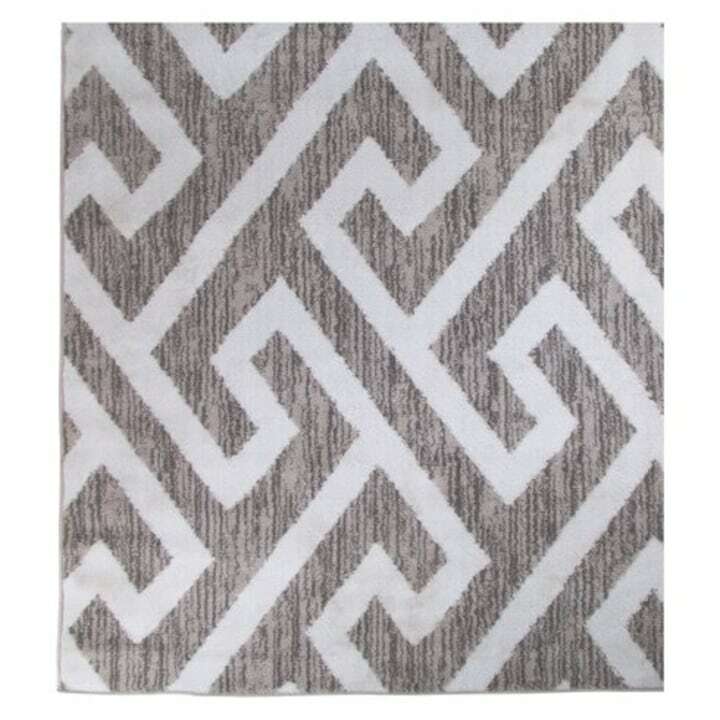 This neutral rug goes with any decor and has just enough pattern to keep things interesting. 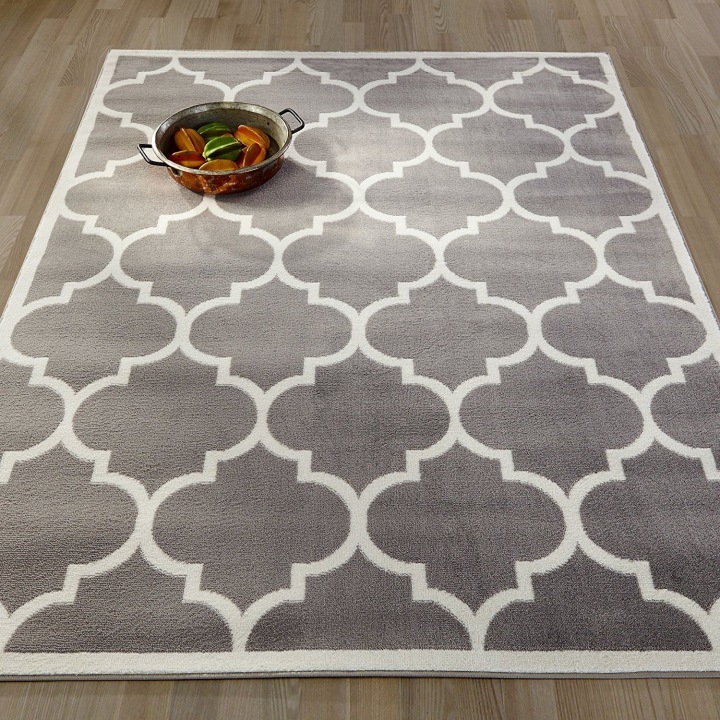 This rug blends traditional Oriental design with a modern, neutral palette to work in virtually any space. We are recognizing a trend here with neutrals! Here's another plush and modern option in go-with-anything gray. But you can also get jazzy with some brights in the same style, which could be fun for a kid's room or a kid-at-heart's room. 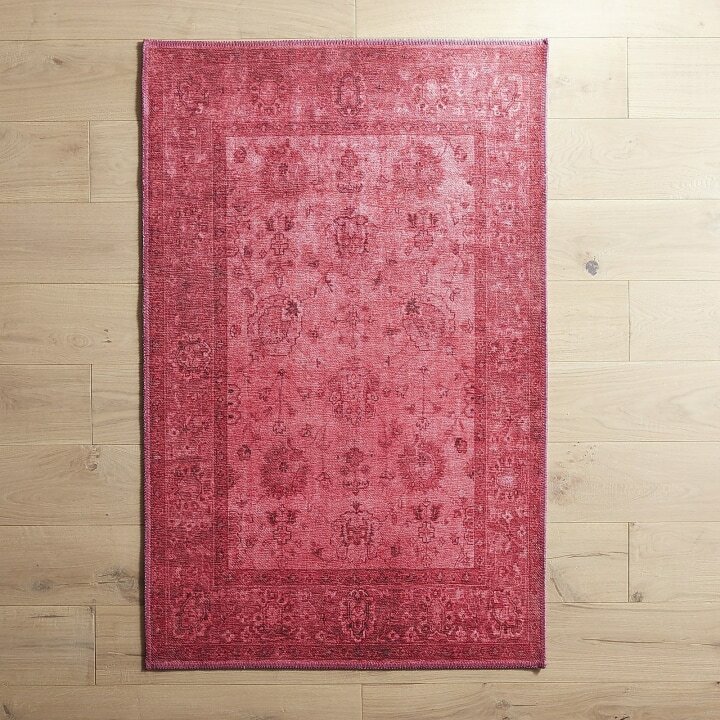 This pretty area rug is a fresh take on the traditional Oriental-style rug with it's modern floral background and distressed Persian-print overlay. Plus, it comes in lots of cool colors like silver and navy. 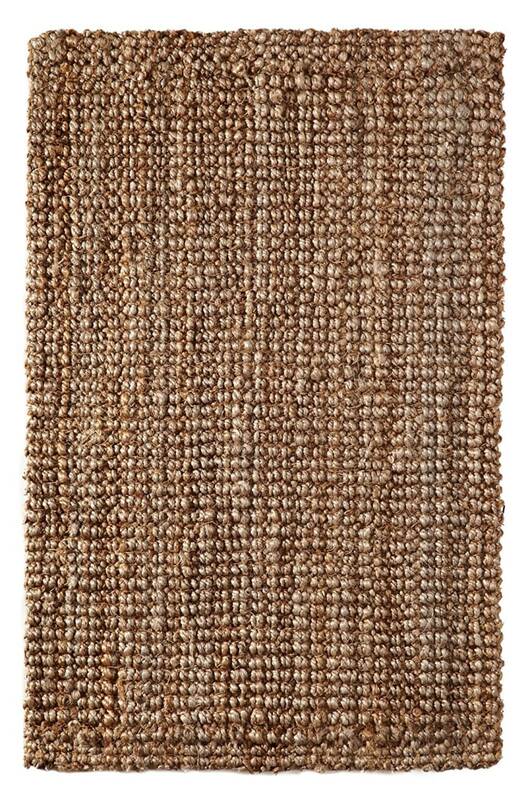 We love a natural-fiber area rug like jute. It's highly durable and provides a neutral palette for decorating. 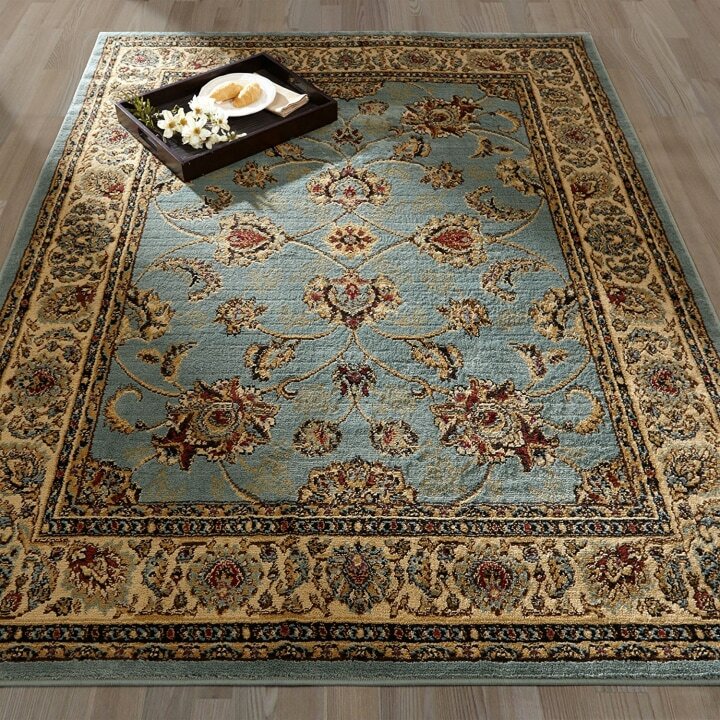 This Oriental-style rug is billed as a "new" traditional with its distressed take on the original. It also comes in a modern dark grey and light grey color way that suits any decor. We love a vintage-looking pattern and so, apparently, do Amazon shoppers. 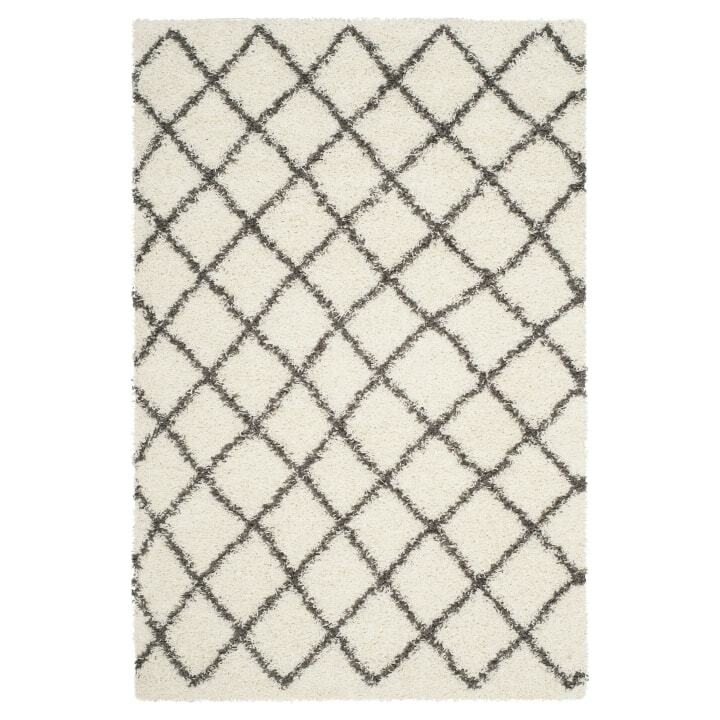 This rug feels fresh and cool and adds a punch to your room or porch. 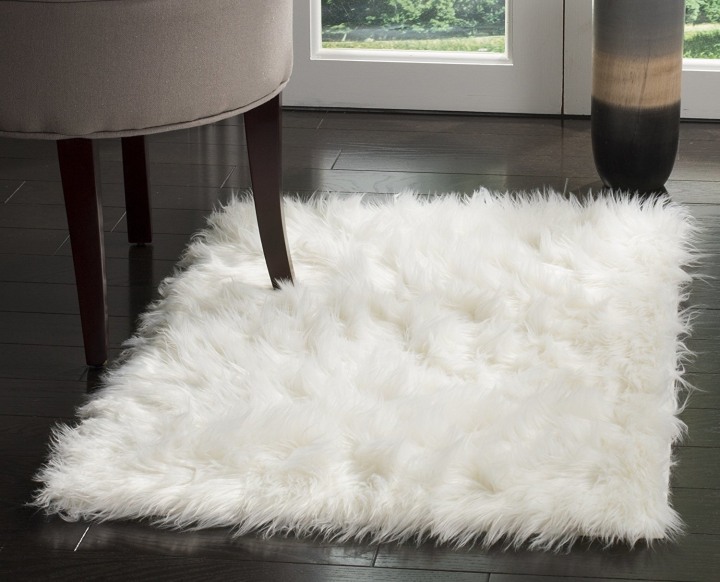 Luxurious faux fur is a never-go-wrong option decor-wise and feels just as delightful underfoot. Don't be afraid to go bigger for instant glamour! You'll know you're home when your feet one of these carpets from Walmart. Bright patterns and natural textures make for extra-inviting spaces. 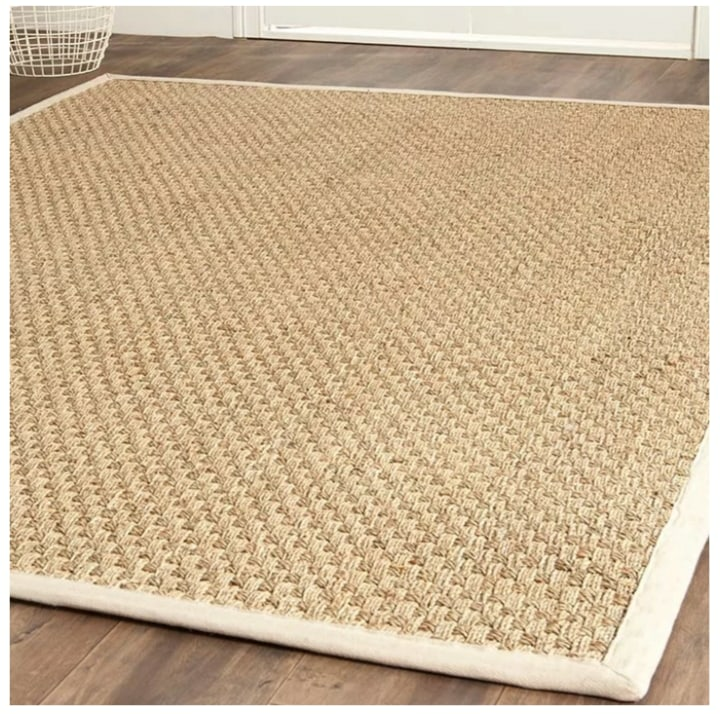 A natural-fiber rug like this jute-and-cotton option is a favorite neutral. They stand up to heavy traffic, kids and pets while standing up for uncompromising style. Medallions of pink and red adorn this dynamic design — it's sure to put some pep under your step! 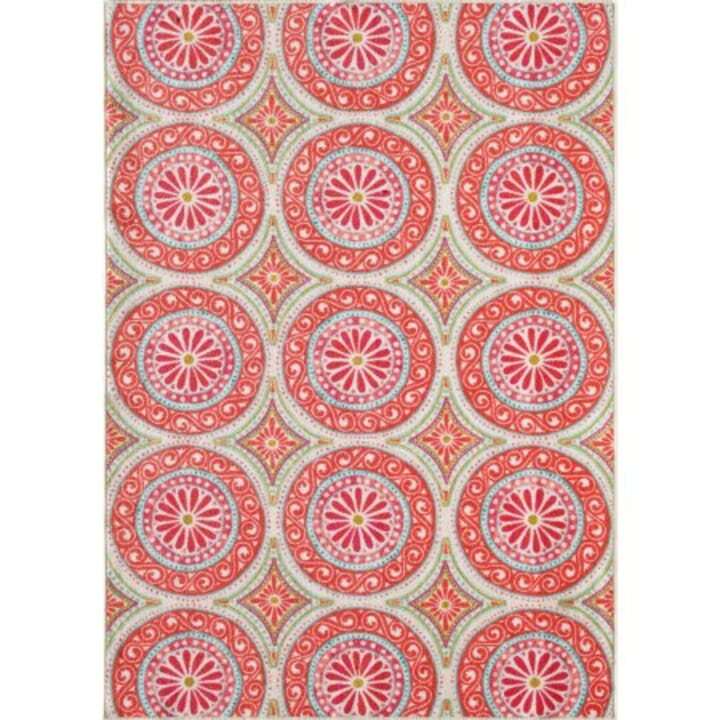 This happy and colorful rug from the Better Homes and Gardens Collection is a modern update to the ever-popular Moroccan Beni Ourain styles. Pattern and color abound at World Market! 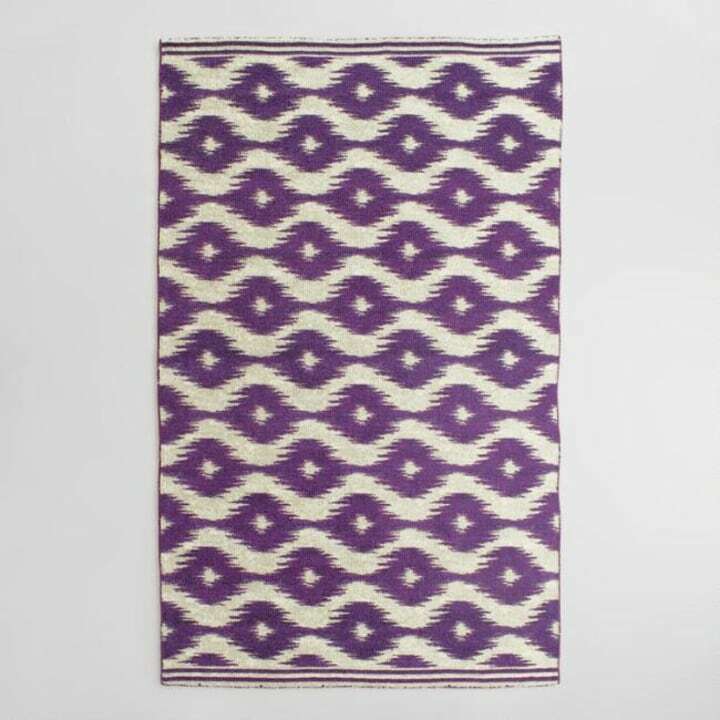 From ikat to paisley to geometric, these statement-making rugs will take your room to the next level. We love how this rug offers plenty of color and geometry. We can't get enough of the ikat design motif. And this bold purple color way is a room-maker. 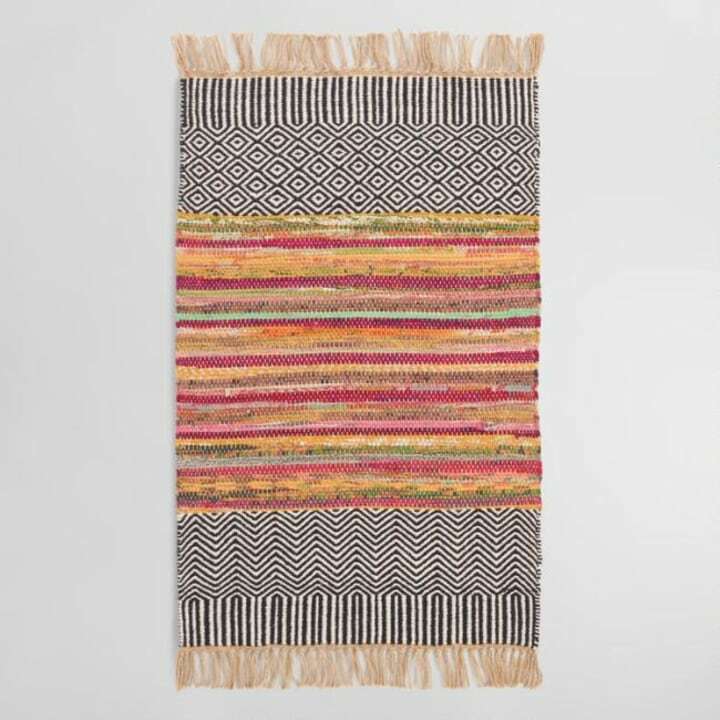 Wayfair offers a fabulous selection of rugs — from monochromatic geometrics to colorful flame stitch patterns and even woven rag rugs. 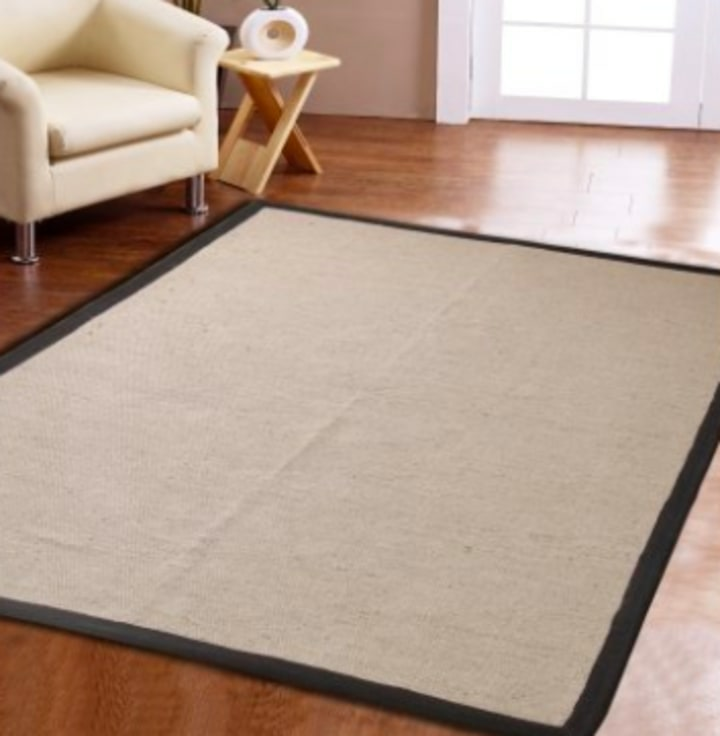 A natural rug grounds the room without drawing too much attention away from the other design features. Plus it's easy to clean! This design zooms in on a Greek key motif and comes in several sizes. Stripes, leather and ikat caught our eye at Hayneedle. These truly innovative designs take a room from drab to fab! Dyed rugs are a huge trend these days and we love how the high saturation of color gives a contemporary outlook to a traditional design. 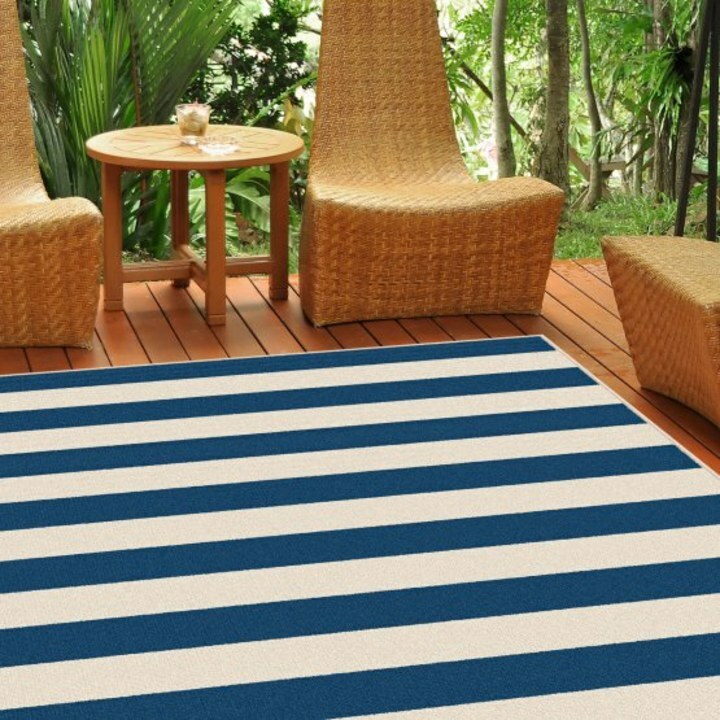 This indoor/outdoor nautical stripe rug offers style with staying power. 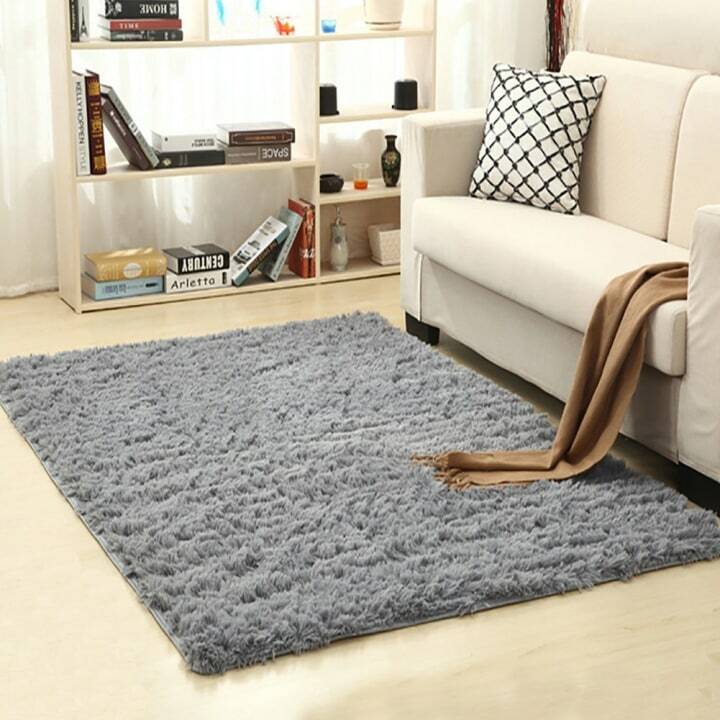 Made with polypropylene (a fancy word for plastic), this rug is tough and can handle the elements and your pets. 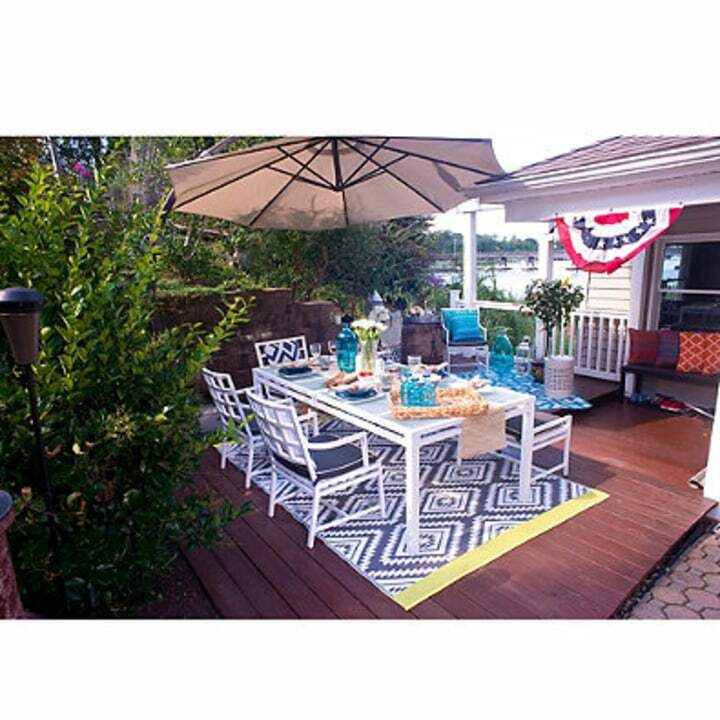 The indoor/outdoor options at Bed, Bath & Beyond will elevate your patio, porch or family room. 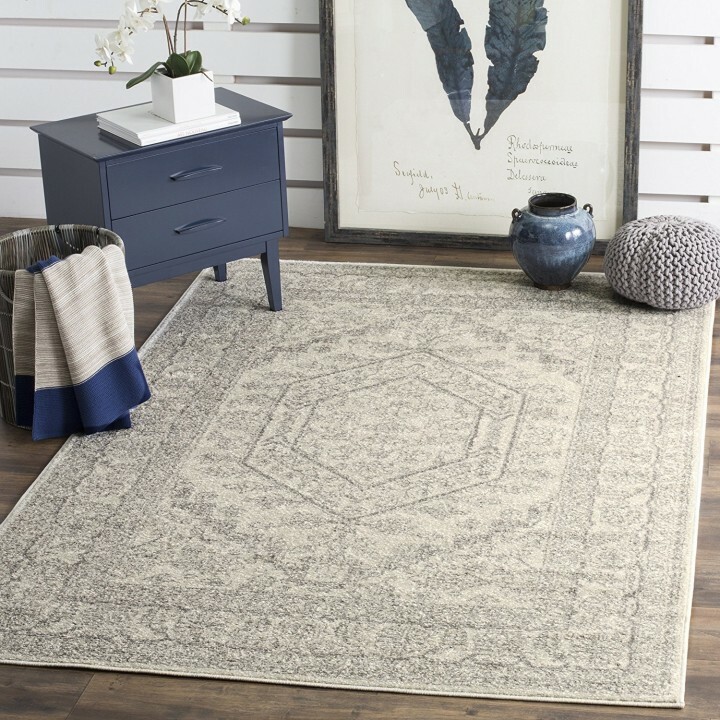 Durable and chic, these stylish rugs bring a new meaning to versatility. Gentle sea mist stripes create a cool and crisp foundation for your patio or porch. 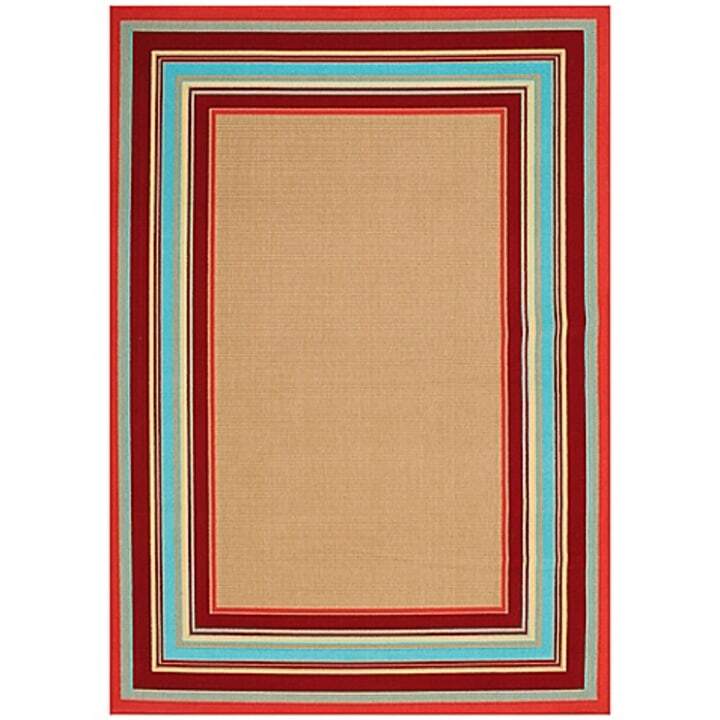 Another outdoor rug that would look just as at home in the dining room, this is a great-looking and durable answer to affordably decorating any space. 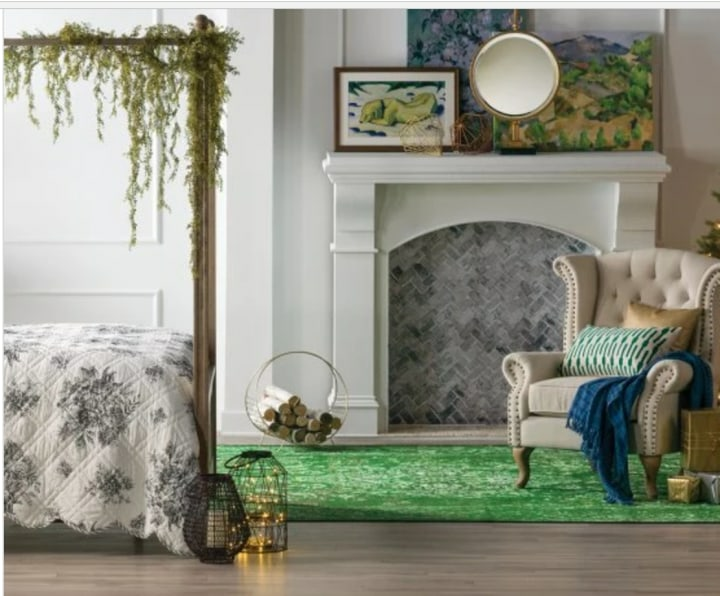 From rugged and chic plastic designs that work indoors or out, to luxurious, plush and dyed styles, Pier 1 has a rug for every locale. The dyed rug trend is really popular and effective for bringing highly saturated colors into your decor mix. 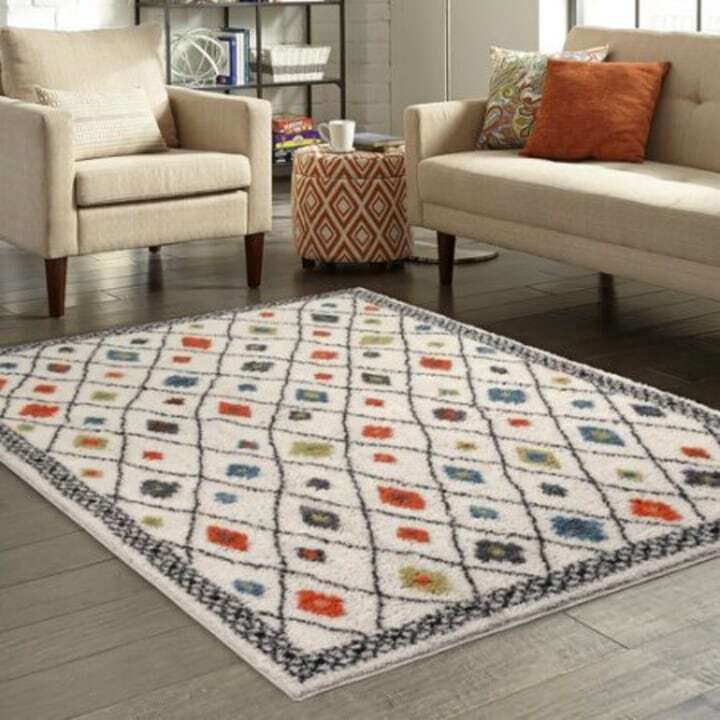 Whether it's color, pattern or both that you are looking for, Target also has a dynamic grouping of great-looking area rugs to satisfy any decorating desire. 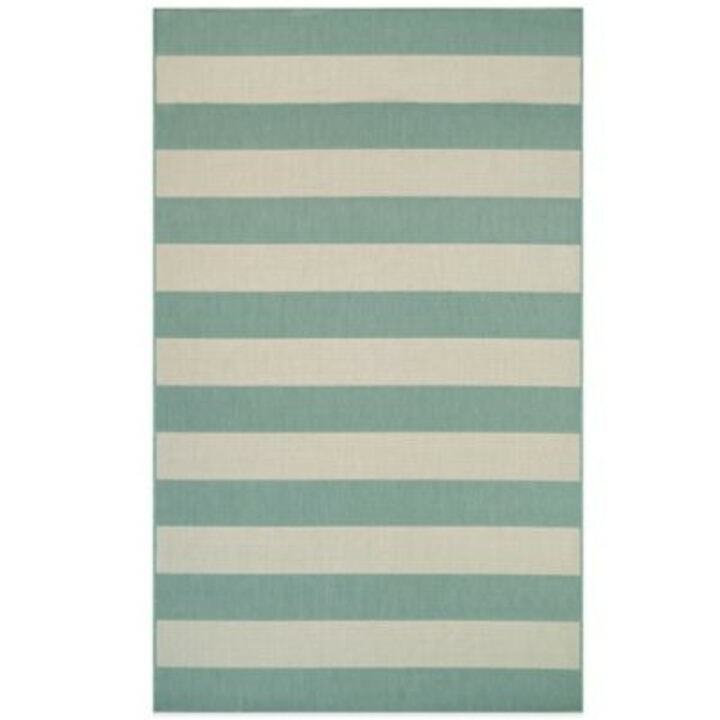 More stripes in a classic dusty blue from Safavieh. Did we mention how much we love stripes? 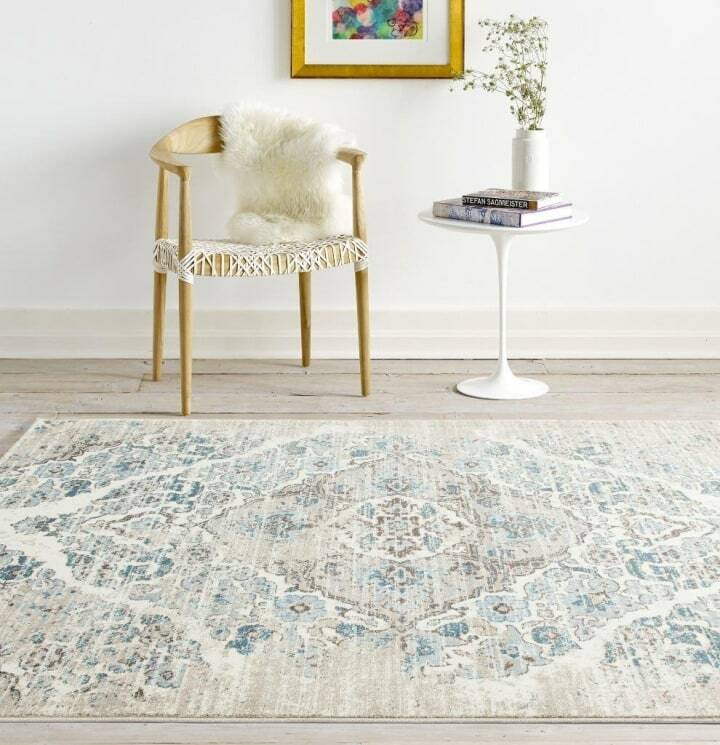 This Moroccan take on the Beni Ourain style rug has been a major trend for a few years now and appears to be the rug of choice for stylish bloggers. This article was originally published on July 11, 2017 on TODAY.com.